“Blue is a multi-talented performer who's equally at home belting out a blues standard or cutting loose with a ferocious harmonica solo." 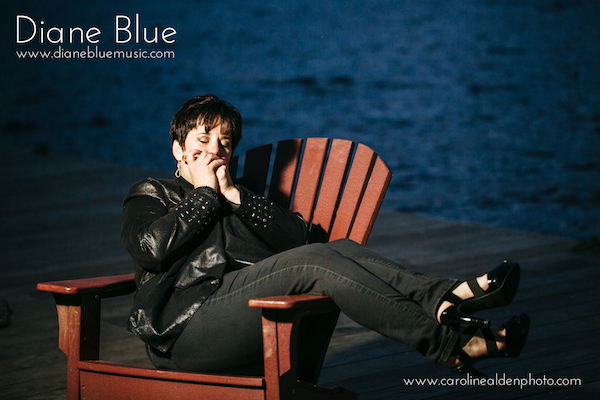 Boston's DIANE BLUE is a soul-stirring vocalist and harmonica player whose powerful delivery of Soul, Blues and R&B is captivating. Her performances are charismatic and heartfelt, whether fronting her own world-class band or singing alongside master Bluesman Ronnie Earl. Ms. Blue is the first female member of Ronnie Earl and the Broadcasters, prominently featured on the band’s most recent five celebrated records, including co-writing credits.